This collection is a romantic tribute to the Indonesian people that need to transport things (everything imagineable) from point A to point B. Oh, on two wheels no less. It must be love. Everyday Bali at Pasar Ubud. Loaded – krupuk (traditional crackers) go great with nasi goreng (fried rice) for breakfast. Early morning in Malang, Java. 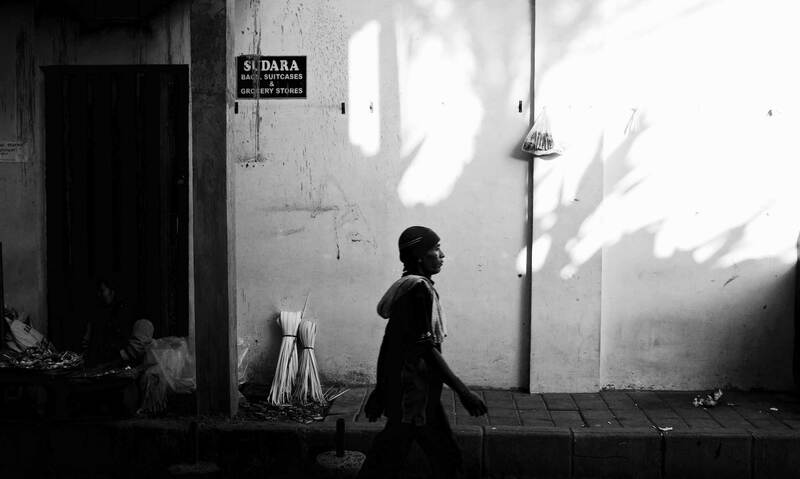 Fresh fruit delivered right to your door on the timeless back streets of Surabaya, Java. Sate on a motorbike. The only way to ride. Near Ubud, Bali. The best ice cream sandwiches ever. Somewhere between Ubud and Denpasar, Bali on 35 mm film. Buried in baskets? No problem. Ubud, Bali. Old Glory (Stars & Stripes) in Canggu, Bali. Night surfing on the streets of Kuta Beach, Bali. Hurry while supplies last. Near Ubud, Bali. Did some one ask for a pet gold fish? Near Ubud, Bali. Providing lunch for the shop owners on Jalan Dewi Sita. Western new year’s eve noise makers for sale near Ubud, Bali. Portable mini broom store in Ubud, Bali on 35 mm film. Tauwa – tofu in ginger syrup for a super early breakfast in Surabaya, Java. City courier Indo style cruising the back streets of Jakarta, Java on 35 mm film. Bakery on wheels in Surabaya, Java. It must be love. Every day Bali at Pasar Ubud.